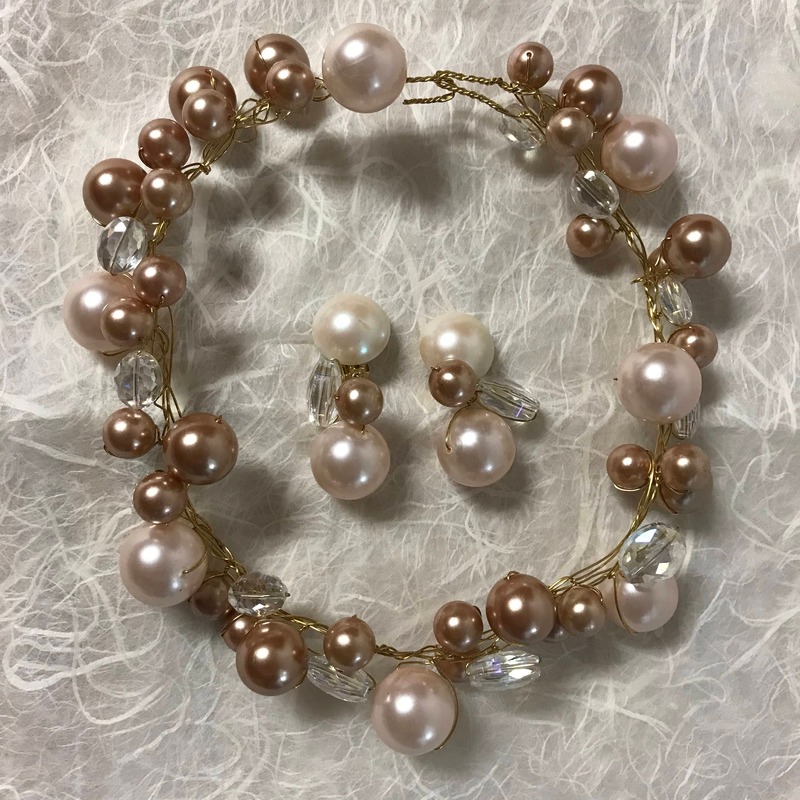 Wonderful Vintage Pink and Champagne Pearl necklace and earrings created by Kim DeWitt Paff. This is part of Kim's "Diamonds and Rust" collection. 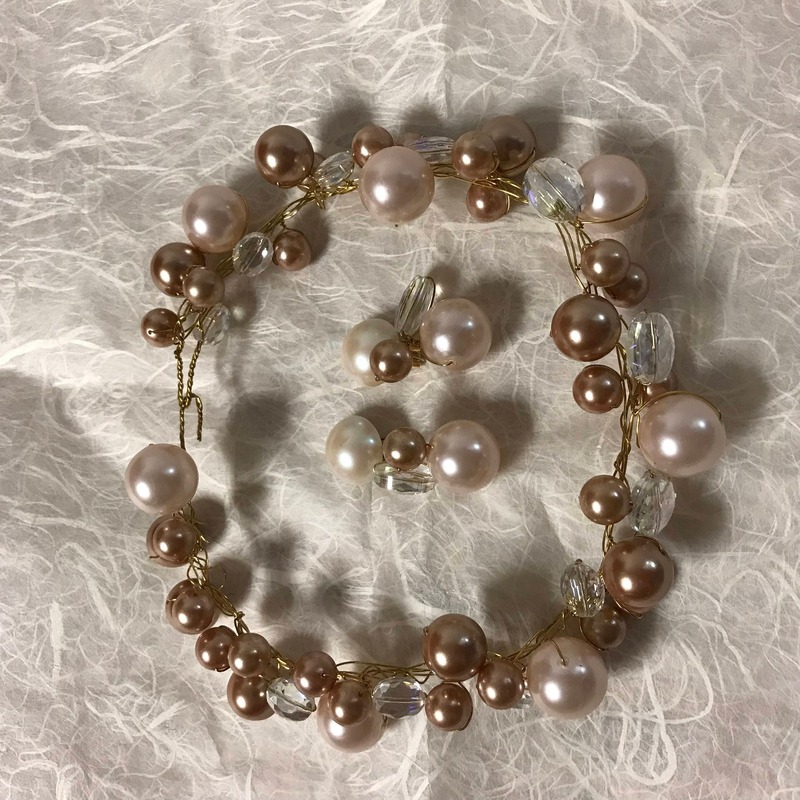 This necklace is made of giant ONE inch vintage Faux Pink pearls and champagne beige pearls accented with faceted aurora borealis beads, put together on solid brass wire. They appear to "float" on your neck as you will see in the photo. 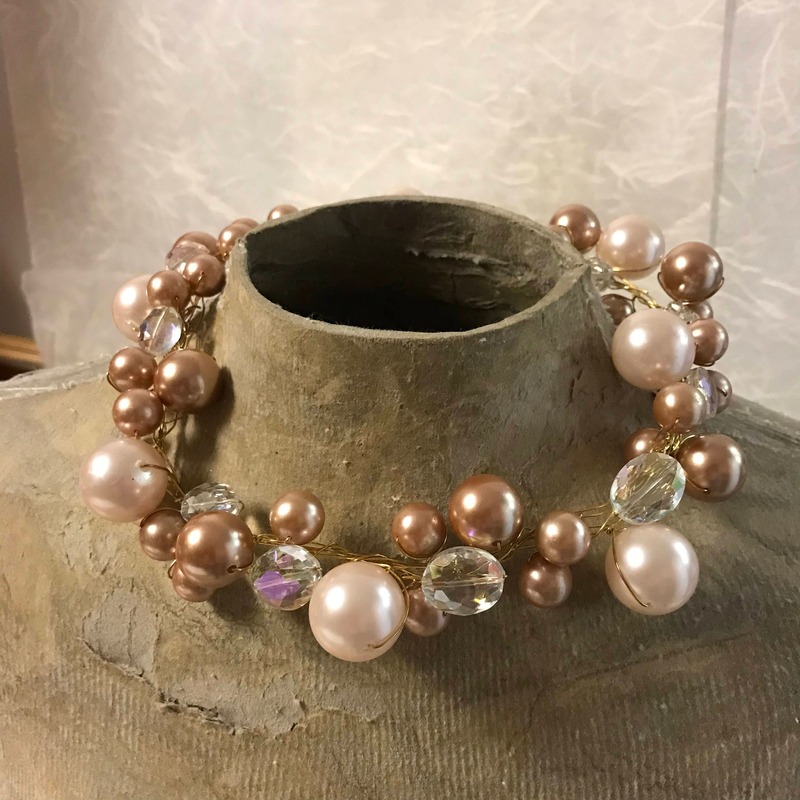 This necklace was made as the example piece for a jewelry making class I taught at the Costume Jewelry Collectors International convention in Rhode Island recently. So incredibly gorgeous on! Kim uses vintage Bakelite beads, chips, buttons, tiles and other Bakelite from her lifelong collection to make these wonderful recycled creations. Vintage Bakelite components were hand crafted into this striking vintage necklace. Kim is an expert at recycling vintage components. Kim's specialty is Bakelite. Her designs are always original and her creations have a dedicated following. You can create a memory necklace using your heirloom baubles, buttons, beads, etc. Kim will take them and make them into a fun and funky necklace or bracelet, or earrings. Ask for a custom order and convo Kim. Take time to read about Kim, she is an artist and internationally known jewelry designer and collector.